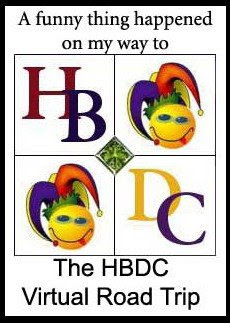 Welcome to the latest stop on the Humor Bloggers Dot Com virtual road trip. It’s been a long haul getting here, beginning almost a month ago in the city we Canadians all love to hate – Toronto. Or, as the locals there say “Trawnta”. Check out the right-hand column over there to see where the tour has traveled thus far. and then, sit back, put your feet up. And for the next little while enjoy the sights associated with the jewel of our nation, its capital. The National Capital Region includes Ottawa, Ontario - Canada’s capital - and neighbouring Gatineau on the Quebec side of the Ottawa River. 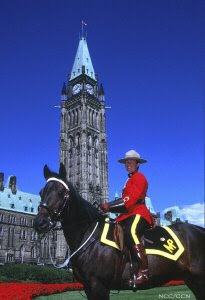 I live in western Gatineau in a community known as Aylmer, a stone’s throw from Parliament Hill, the seat of government. They call it the seat of government after the asses that run our country. And as for throwing stones, I’ve tried but the rocks I heave always fall short. But I digress. Aylmer is a microcosm of our nation where Francophones (60%) and Anglophones (40%) live in peace and harmony and in two languages. During the day Aylmer is a quiet, sleepy, bedroom community of the region best known for its network of bike paths, its many golf courses and its picturesque marina. But at night the Anglophone population triples as young Ontarians pour across the border to imbibe until the bars and strip clubs close at 3 am. Or at least they sure did when I was young and living in Ontario. The region was first populated by the Algonquin First Nation. Indeed, they’ve recently submitted a land claim to the federal government for the rights to the Ottawa River watershed. Good luck with that! When the Europeans happened on the scene in the early 1800s they turned the Gatineau and Ottawa Rivers into a booming timber transportation network, so Ottawa was initially a lumber town. 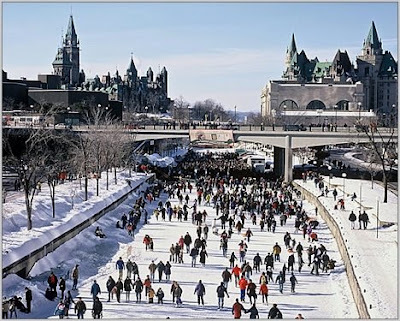 In the 1830s Colonel John By and thousands of French Canadians and Irish immigrants completed the Rideau Canal – a secure water network from Kingston, Ontario to Montreal, Quebec which avoided the St. Lawrence Seaway and proximity to the Americans. The city where he settled was first called Bytown. Now just the Byward Market bears his name. Steps from Parliament Hill, the Market excels at local produce and trendy restaurants, bars and nightclubs. The Canal the Colonel built is now known as the World’s Largest Skating Rink. Winnipeg, Manitoba - not content to be known for Portage and Main, the coldest intersection in the world - stole our title of “longest” skating rink last year, one we’d held since 1971. Now we call it the "largest" skating rink in the world 'cause ours is wider than Winnipeg's. And on that point (pun intended) we'll take a break and resume our little tour of the Ottawa area tomorrow. Highlights include a tale of 2 Kings: a paranormal Prime Minister and the royalty of rock! Come on back, eh? What a great post. I am sorry I was not around when you did it, but none the less I loved it. I have always wondered about the cities and towns of Canada and you made them beautiful. I especially loved the skating rink. I would love to visit sometime. I love to skate! I will fall but hey, that's what the rail is for. What? No rail? You jest. Very nice. Thanks for the tour. Remember Expo '67? Well, I was there. I love you part of the world and plan to visit again...hopefully, soon. Thanks for a great tour! Me-Me: I'm jealous. I wanted to go so badly. On the other hand, I did get to the New York World's Fair a couple of years before. Great introduction to Ottawa -- thanks so much. ettarose: Due to technical problems with blogger it didn't post when dated but a week later. But glad you enjoyed it. It's a great city. Count: I find Montreal so big. Ottawa's somewhat smaller and a very picturesque place to live. ReformingGeek: no, the only rails are for trains. Glad you enjoyed the tour. The canal/rink's a blast. Me-Me: I was there too, several times. Maybe we saw each other! Frank: You didn't rise to the "Trawnta" bait. I'm disappointed. Hey, we don't care when you post, blame it on a time warp or something. Blogger is great, huh? Ugh. Great post no matter when it appears! Deb: Hey thanks Deb. Yeah, it was just a jump to the left I guess. And I had the perfect hand=off to you too. Oh, well. Better late than never.